Our premium foam border consists of (20) 8' x 30" x 5" and (4) 30" x 30" x 5" - 18 oz. Prop 65, slopping foam, vinyl covered pads. Each pad is secured to the pad beside it by heavy duty Velcro securing the border tight against the wooden floor deck. 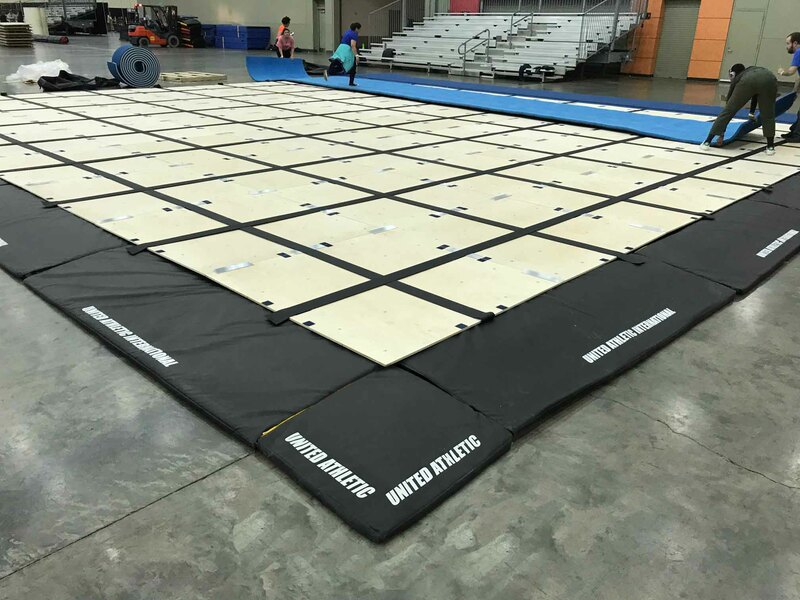 Foam borders can be ordered in many custom colors and can be made to fit custom sized floors.